NEWARK—Byron Clark is a seemingly bottomless font of information about the neighborhood he has called home for the last dozen years. 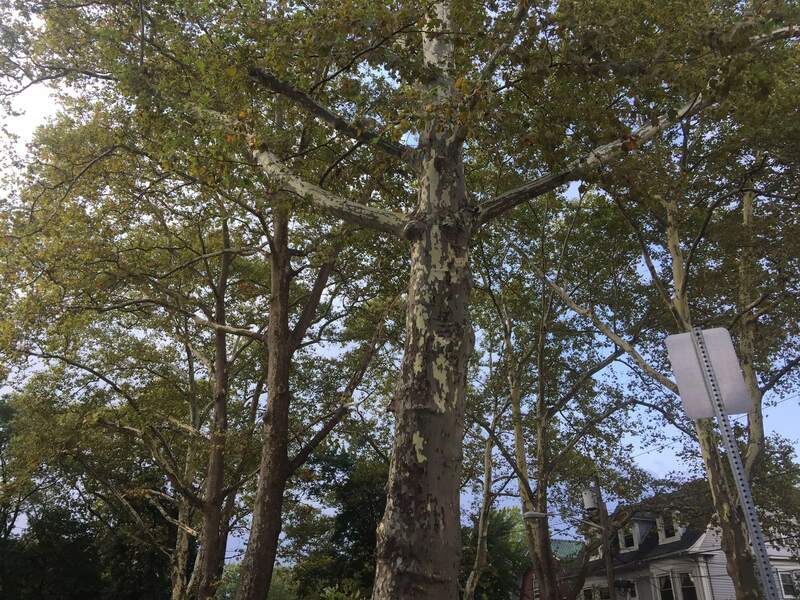 As my fiance and I walked with him down tree-lined Ridge Street in Newark’s historic North Ward neighborhood last Saturday, he rattled off facts about the houses as if they were people. “She’s a judge,” said Clark, pointing to a cute gingerbread-style house I had just been admiring. It took me a moment to realize that he was talking about the occupant, not the house itself. “And he’s retired from the library,” Clark added, pointing to a nearby home. On a corner just ahead of us, I noticed a tangle of dogs and people. “This is a great example,” said Clark, referencing my interview with him about Forest Hill, which had ended just minutes before. During our sit-down, Clark, who is in his forties, mentioned that young families were steadily moving into the neighborhood. The group up ahead of us was a picture-perfect case-in-point. They were the Young and Goodson families: four adults, four children and two dogs in all. 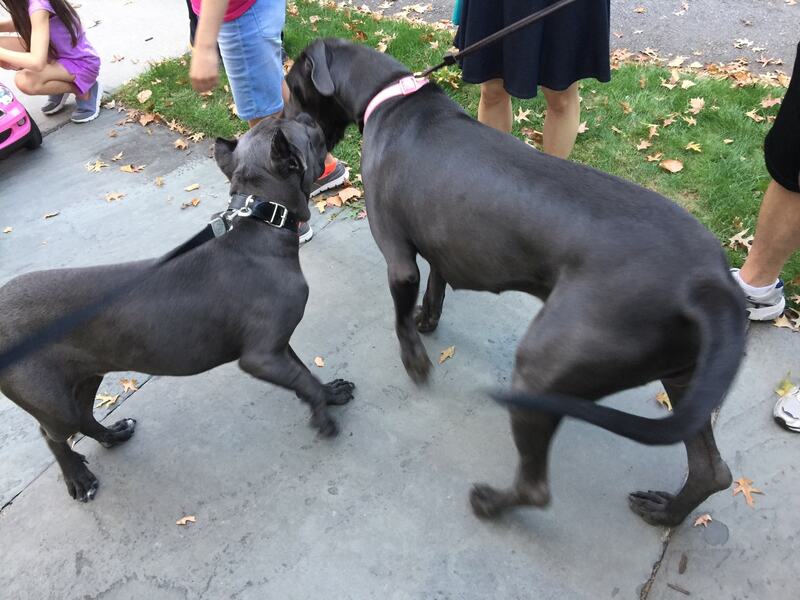 They had joined forces to walk their dogs not long after the neighborhood’s fifth annual garage sale had ended. During the rest of my unannounced jaunt through Forest Hill, this type of neighborliness was typical of the people I met in person. 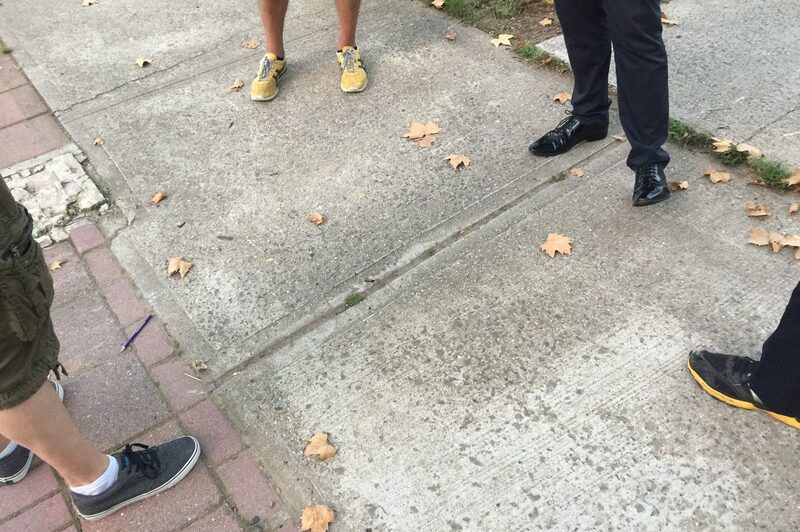 In fact, most people I spoke to were downright giddy about the Newark community they had opted into. And all of the people I happened to meet were, in fact, opt-ins, having moved to Forest Hill no more than three years ago (with the exception of Clark, who I had known previously). This neighborhood profile is the first in Brick City Live’s series of contributions to Voting Block, a statewide collaborative reporting project. Montclair State University’s Center for Cooperative Media is organizing the project, whose New Jersey-based reporting partners include 15 hyperlocal news organizations (including Tapinto Newark, which recently published a profile of downtown), six ethnic-news organizations, plus WNYC, WHYY, NJ Spotlight and The Record. Talia Young, who is in her thirties, was one of the four adults at the corner. She loves living in Forest Hill, but it took some coaxing to get her there. It didn’t take long after moving to the neighborhood for Young to become a true believer herself. She loves that Forest Hill is highly social, that neighbors are genuinely interested in getting to know each other, and that they put their space on the line to do so, often extending invites to each other to see the other’s homes. Young, founder of Love Studios, and her husband Sean, CEO of Capital Club, are one of those couples. One year ago they welcomed their daughter Leela who, as Talia Young and I spoke, was enjoying an outpouring of attention from the Goodsons’ three children, MacKenzie, Madison and Grant. Forest Hill is notable for the historic homes and mansions that line its streets, each one unique and built from one of a variety of classic styles. Young told me her family’s ten-bedroom home was once owned by religious movement leader and desegregation activist Father Divine, the same man who bought Hotel Riviera near Newark’s Lincoln Park neighborhood in 1949. The couple undertook a five-month renovation before moving in September of last year. For the Youngs’ attorney, friend and dog walking compatriot Christopher Goodson, whose law offices are located downtown Newark, space was a large part of the appeal for moving to Forest Hill. He, his wife Jessica and their three children moved from Montclair to Newark to get more land and a bigger house. 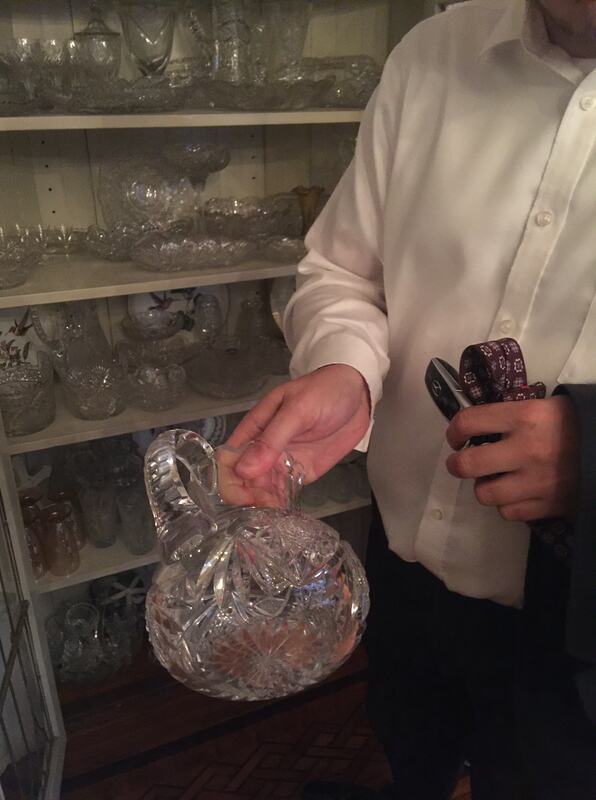 “A house that we could really entertain in,” said Goodson, who is in his forties. Their family has now lived in Forest Hill for two-and-a-half years, in a home they spent six months renovating that sits on nearly two-thirds of an acre of land and includes 11 bedrooms, six bathrooms and a carriage house. Goodson has high hopes for the enclave. “This is going to be the Upper West Side” of Newark, he said, referring to the ritzy New York neighborhood, but with a more neighborly bent. As we prepared to let the families get on with their evening, I overheard Young fill Goodson in on an upcoming event nearby. Forest Hill is roughly circumscribed by Verona Avenue to north, Mount Prospect Avenue to the east, Second Avenue to the south and Branch Brook Park to the west. In spite of the headlines that often frame Forest Hill’s relative affluence as surprising given Newark’s media reputation (see “Yes, We’re In Newark” and “Restaurant guru’s Newark mansion is shockingly fabulous”), the neighborhood is a longstanding part of the city, dating back to the late nineteenth century. Forest Hill’s stately homes and mansions are rendered in a mix of styles that makes each of them unique and undergirds their origin stories—stories many of the neighborhood’s residents are keen to unearth and proud to reveal. When the neighborhood was formed in the late 1800s, much of the land was owned by a trio of wealthy industrialist families—the Hellers, Ballantines and Clarks (no relation to Byron)—and then marketed to the well-to-do of the time. 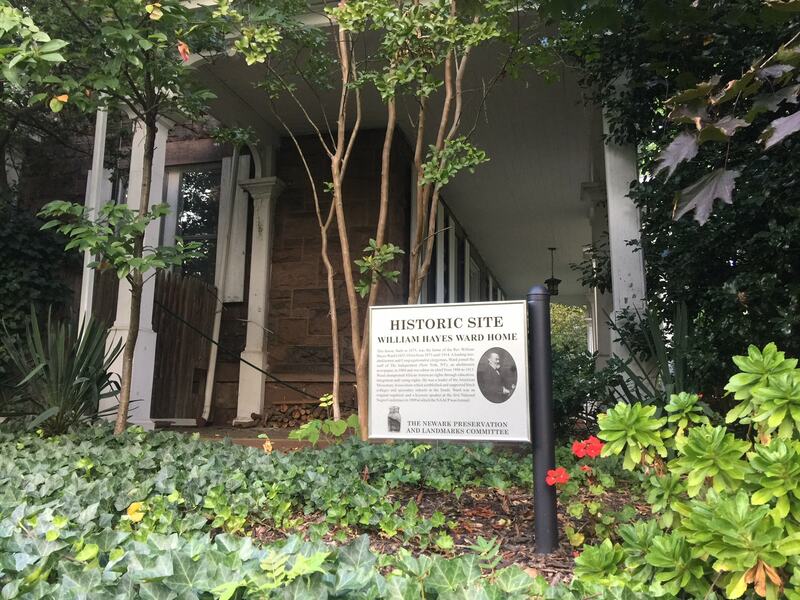 The National Registry of Historic Places officially designated Forest Hill a historic district in 1990. Residents of historic homes are restricted in terms of changes they can make to their homes’ exteriors in order to preserve the character of the residences and of the neighborhood overall. Forest Hill residents founded the FHCA in the early 80s. Today, the community association plays a key role in organizing civic activities that keep the neighborly vibe alive, including the neighborhood yard sale that officially wrapped up about a half hour before we encountered the tangle of families on Ridge Street. Interestingly enough, it was in learning about the history of the neighborhood that Romulus Rodriguez, 42, became interested in owning a home there. He’d owned an investment property nearby for more than a decade, but it was when his wife, a nurse practitioner, had to study the history of Forest Hill for a school assignment that the couple decided to take another look at the community, this time as a place where they and their daughter might make a home. At the time, the Brooklyn residents were considering moving to Montclair. That all changed after a stroll along Clifton Avenue. A Forest Hill resident who was mowing his lawn spotted the couple ambling down the street and inquired if they were looking for houses. Rodriguez said they were. “How about that one?” the neighbor asked, pointing to the home he and his family now reside in. “So we came around and we got in through that window,” Rodriguez told me with a laugh, pointing to a first-floor window facing his driveway. The family was sold once they got a look at the interior. Actually purchasing the house and moving in wasn’t so simple. First Rodriguez had to do some legwork to figure out who actually owned the home. Then he and his wife had to clear the financial encumbrances on the house, namely a fine the city had slapped on the previous owner for doing renovation work without the required permits. Now that the family is settled in, Rodriguez is pleased. “I actually talk to my neighbors. I didn’t have neighbors in New York,” he said. One of the Rodriguezes’ concerns is where to enroll their daughter in school. Presently she’s attending a private school in another town, but the couple is currently researching Newark schools to figure out where they might place her. 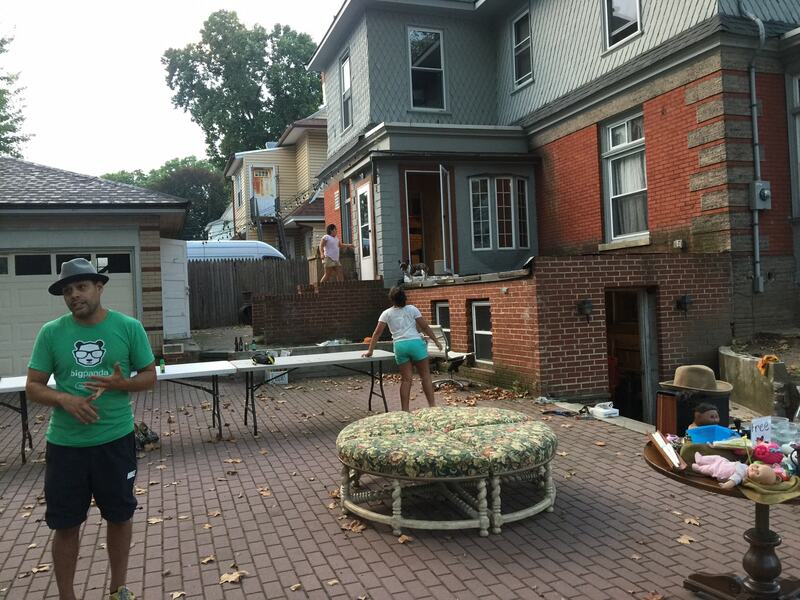 What most pleases Rodriguez about the neighborhood is that everyone is so invested in restoring it. “The best thing is that everybody’s working on their house,” he said. As if on cue, Michael Mutter, Rodriguez’s next door neighbor, marched down the street toward the driveway where we were all standing. “I blame you! You inspired me the other day,” Mutter said to Rodriguez with a tone of mock indignation. “I saw!” Rodriguez responded. “I was like, ‘Who’s making noise?’ But it was good noise,” he said. Mutter, who is in his early thirties, had just torn down an iron fence surrounding his house, one of the first sets of improvements he planned to make to the home’s exterior now that his interior work is complete. I introduced myself to Mutter and told him I was writing a profile on the neighborhood. Mutter, who moved to Newark from Saddle River, said he loved the idea of a resurgence in Newark, and particularly the fact that many residents have made a deliberate decision to invest in the city and be part of its resurgence. He discovered Forest Hill through his partner, who was living in Newark at the time. Mutter’s enthusiasm for Forest Hill was so infectious that his father followed him to the neighborhood, purchasing a home on Clifton Avenue that Mutter emphasized repeatedly is gorgeous and impeccably true to its architectural style and the time period when it was built. Mutter then invited us inside for a house tour, and was clearly (and deservedly) proud of the renovation job he and his partner had completed. The home, a unique cross between Mediterranean and Craftsman styles, featured tasteful details that recalled its stylistic origins. “This is hot!” Clark exclaimed, thrilled to finally see the home’s interior, which he’d been curious about ever since learning that the renovation was underway. Byron Clark is a lean-forward type of resident. Before our neighborhood stroll, we met inside his “dollhouse,” a somewhat mysterious structure on his property—clearly not a barn or a shed, but too petite to be considered a carriage house—that Clark has converted into a mini-museum where he displays the Newark memorabilia he’s collected over the years. He offered a primer on the neighborhood from his point of view. “When someone is looking to buy a house, we need to be on their list. Whether they choose to move here or not is up to them, but Forest Hill needs to be in the conversation. I think we’ve done the work and put the time in to get the word out,” said Clark. 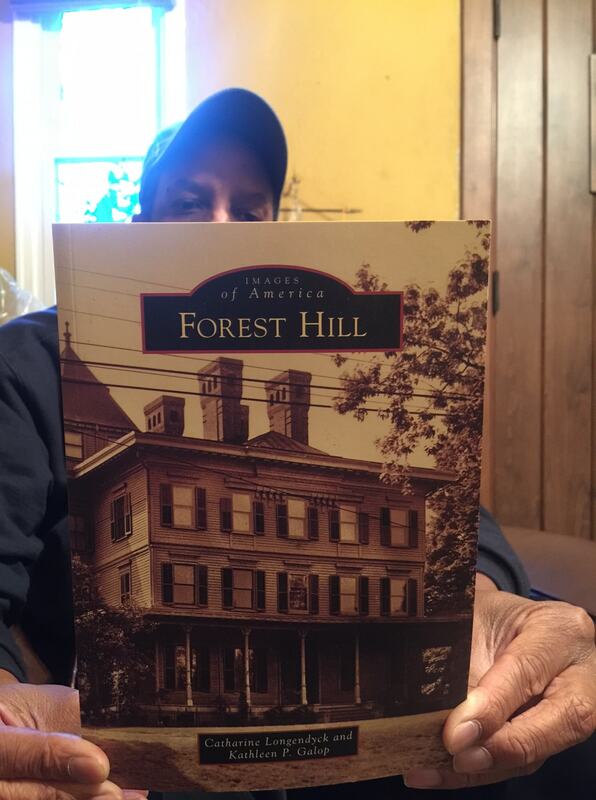 Byron Clark called this book about Forest Hill, which was published in 2014 by Catharine Longendyk and Kathleen P. Galop, a “game changer” in terms of helping to get the word out about the neighborhood. And it’s working, he said. In addition to seeing an uptick in press, Clark said he’s pleased to see more young families with children moving in, adding another dimension of diversity to a neighborhood he said already has plenty of it. “Diversity is our strength,” said Clark. “We have people of diverse income, we have people of diverse races, sexual orientations.” Professions vary, he continued, and include artists, academics, entrepreneurs, corporate, police, firemen and stay-at-home moms. “Really, it’s a piece of Americana here,” said Clark. As the neighborhood changes and more people move in, he said, some needs will become more urgent to address. For instance, Clark said he wants to see more traffic calming measures to slow the cars that sometimes speed through the neighborhood’s streets, especially with more children in the neighborhood. He sees the need for a comprehensive plan for public parking. He wants continued support for historical preservation and muscular enforcement of building codes (the latter two for which he said the city has provided a strong foundation). Clark also thinks there’s opportunity for the commercial district on Mt. Prospect Avenue to “come alive” and attract an anchor business that draws Forest Hill residents in. And he sees a growing need for amenities and services targeted to the needs and tastes of residents, like play areas and childcare services for families with young children, and dog parks for the neighborhood’s multitude of animal lovers. Back on our stroll, we closed out the evening by paying a visit to a family that Clark had been eager for us to meet. Night fell quickly as we walked the blocks from Mutter’s home to theirs, but that didn’t stop Clark from giving an impressively granular, and sometimes house-by-house, breakdown of neighborhood highlights and history along the way. We showed up to the final home without prior warning. While we waited outside the front gate, Clark called the couple who lived there and told them that he and some friends were waiting outside. They appeared at the door a few seconds later, dog in tow, and let us in. They were celebrating a birthday, parents were in town and chocolate cake, milk and beer were on offer. As we prepared to leave about a half hour later, I admired an oversized art piece–a vintage advertisement–gracing the couple’s dining room wall. Our host had just purchased it at the FHCA yard sale, literally making a piece of their neighbor’s home a part of their own. Andaiye Taylor is founder and editor of BrickCityLive.com. Reach her at andaiye(at)brickcitylive.com.